Beautiful new construction home and ready for you to move in! Awesome layout with split bedroom design and OPEN floor plan. 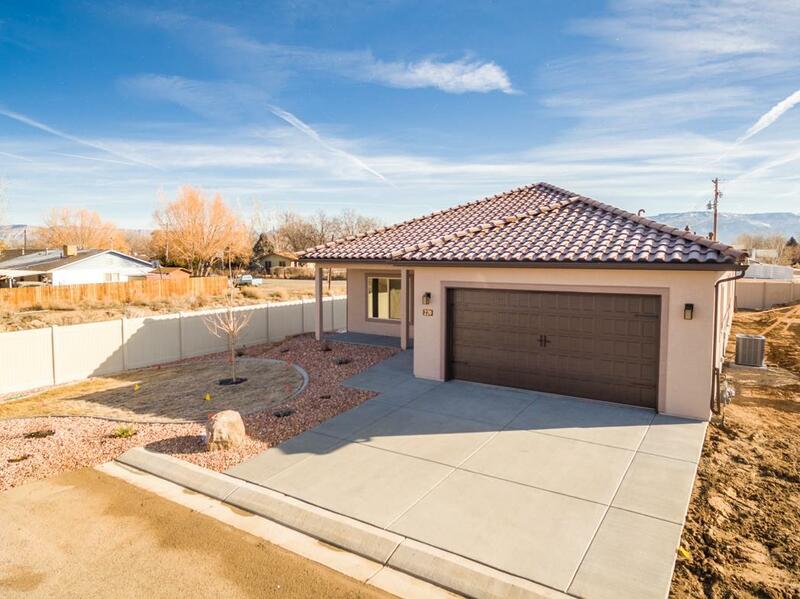 You will love the kitchen with slab granite counters, soft close knotty alder cabinets, stainless steel appliances, gas range, and fridge included. Home is 2x6 construction on 16' centers, crawl space, tile roof, and 9 ft ceilings throughout house. Garage is oversized with 10 ft ceiling and epoxy floor. Nice covered back patio with expansive view of the Grand Mesa and the Bookcliffs. Home is on the end of the street, no direct neighbors on one side or the back. The property is on a larger lot than most in the neighborhood and is completely fenced with front and back landscaping already done. All you have to do is move in to this beautiful home-call for your showing today!